An 8-foot 6-inch 460 pound female white shark named "Savannah" was pinged in the Gulf of Mexico on Wednesday near Tampa. "Savannah" was first tagged during a Lowcountry Expedition on March 5, 2017, in Hilton Head, South Carolina by OCEARCH.ORG to gather scientific data and track her journey. This white shark was named to celebrate the people of Savannah, Georgia. The OCEARCH team was humbled by their hospitality and passion for the ocean. "Savannah" has traveled 4115.809 miles since she was tagged, up and down the East Coast. Track "Savannah" in the waters off Tampa by clicking here. 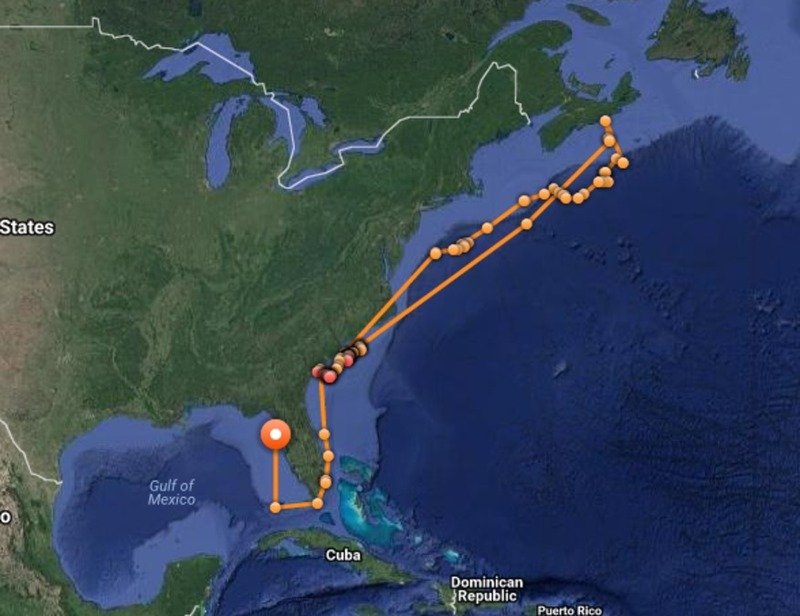 On New Years Day, a 12-foot 5-inch 1,668-pound female white shark named "Miss Costa" was pinged in the Gulf of Mexico near Tampa. Track "Miss Costa" by clicking here.